Harvard Univer­sity's Justice with Michael Sandel These are excellent videos discussing a variety of topics relating to ethics. Each video contains 2 classes, roughly 30 minutes each class. Nature of man is a state of war against every man against other men. Materi­alist. Temporary happiness is all that can be achieved in this life. Traits like GRATITUDE & MODESTY enable people to live harmon­iously together in society. Life is solitary, nasty, brutish, and short. Need absolute monarch to rule society & rebellion not allowed. Limited to correcting injured party for losses suffered. Community reprat­ions. Restore both parties. Deals with how goods are distri­buted fairly in a society. Finite number of things. Laws that govern the country. Libe­rta­rian - diversity in society is valuable and people should have freedom to keep what they earned. Never ok to take from one to give it to another. Aris­totle Man alone is a rational animal and ration­ality (reason) should be used, among other things, to develop virtues. Reason develops virtue, virtuous people have certain emotions which lead to right acts. Some things are known without experi­ence. What was Kants view of reason? Transc­end­ental Idealism. "­Cri­tique of Pure Reason­". Some reason we were born with (a priori) and some things we discover through experi­ence. Natur­alistic fallacy: can't get an "­oug­ht" from an "­is"
Natural Law is determined by nature = universal (universe is morally neutral). Refers to the use of reason to analyze human nature and deduce rules of moral behavior from it. Suppor­ters: Thomas Aquinas, Thomas Hobbes, John Locke. Locke: Life, Liberty & Property. Natural rights are those not contingent upon the laws, customs, or beliefs of any particular culture or govern­ment, and therefore universal and inalie­nable (i.e., rights that cannot be repealed or restrained by human laws). Utilit­ari­anism - greatest good for greatest number of people. Group happiness. Conseq­uen­tial. Hedonic Calculus. Don't abuse animals because they feel pain. Modified the philosophy of Epicurus (the first utilit­arian). Motivated the Philos­ophical Radicals (group of social reformers in early 19th cent) Human happiness not natural rights. Universal male suffrage. Yes, that's Bentham's embalmed head at the foot of his body. You really should look into THIS guy! 1. Intensity (I)--How intense is the pleasure or pain? 2.Duration (D)--How long does the pleasure of pain last?  3.Cert­ainty (C)--What is the probab­ility that the pleasure or pain will occur? 4. Propin­quity (nearness or Remote­ness) (R)--How far off in the future is the pleasure or pain? 5.Fecu­ndity (F)--What is the probab­ility that the pleasure will lead to other pleasures? 6.Purity (P)--What is the probab­ility that the pain will lead to other pains? 7.Extent (E)--How many persons are affected by the pleasure? Actions are right in proportion as they tend to promote happiness, wrong as they tend to produce the reverse of happin­ess. One must always act so as to produce the greatest aggregate happiness among all sentient beings, within reason. John Stuart Mill's major contri­bution to utilit­ari­anism is his argument for the qualit­ative separation of pleasures. Bentham treats all forms of happiness as equal, whereas Mill argues that intell­ectual and moral pleasures (higher pleasures - Shakes­peare) are superior to more physical forms of pleasure (lower pleasures - The Simpsons). "simply nonsense: natural and impres­cri­ptible rights, rhetorical nonsense -- nonsense upon stilts­"
Our moral actions are not guided by reason but by our feelings. Doing good gives people pleasure. Thoughts, behaviors and decisions have to happen because previous events and laws of nature determine them. Conflicts with philos­ophies based on concepts of individual freedom. Best known for developing a pluralist, deonto­logical form of intuit­ionist ethics. Edited and translated many of Aristo­tle's works. In a situation, many of these duties may apply. Sometimes they may contradict one another. One duty is always the weightiest and over-rules all the others. This is the absolute obligation or absolute duty, the action that the person ought to perform. I promise to meet my friend for lunch at 12:00. On they way I walk past a burning building and see some children who need help escaping. What do I do? - Act only according to the maxim by which you can a the same time will that is should become a universal law. Unive­rsa­lity If I can do it, everyone can do it. - Act so you treat humanity (self/­others) as an END and never merely as a MEANS. Histor­ically, animals were outside the ethical frame. Bentham, Utilit­arian = animals can experience pleasure or pain. This consid­eration must be balanced against any offsetting benefit. Watching young boys/girls play games. Observed even in young children, boys tend to be oriented towards the "­rules of the game" while girls are less focused on rules and often quit playing to avoid conflict. What God commands is ethically right and what God prohibits is ethically wrong. "I object to violence because when it appears to do good, the good is only temporary; the evil it does is permanent. " Philosophy = several planes - the spiritual or religious, moral, political, economic, social, individual and collec­tive. God at core. Human nature = fundam­entally virtuous. All are believed to be capable of high moral develo­pment and reform. "I believe in equality for everyone, except reporters and photog­rap­hers. " opposed to political restri­ctions on individual freedom. Respect for other people means letting them pursue their own concept of what is good. Indiv­iduals have rights and there are things no person or group may do to them (without violating their rights). Compared income tax to forced labor and stated that the redist­rib­ution of wealth is only justif­iable when it is resolving a past injustice. Libert­arian* Later in life he recanted the libert­arian position because of implic­ations for the weakest members of society. Life, Liberty & Property. Tabula Rosa. Empiri­cist. Father of Classical Libera­lism. Treatise on Civil Govern­ment, Human Nature. Moral law. He was a proponent of duty. Motive based on duty=m­oral. Hypoth­etical Impera­tiv­e=p­eople who want to achieve a goal they refer to..? "­Ste­aling is wrong. "­ This is just an emotional opinion that relates solely to how I feel about this issue. Reha­bil­ita­tion - prisoners spend time earning an education or learning a trade that can be used once released from prison to avoid the lure of criminal activity. You instin­ctively know if it is right or wrong. "Come on man, you know it's not right to steal that." "An unexamined life is not worth living­"
Click here for a pdf (UMass Amherst) with lots of good inform­ation describing the differ­ence. Utilit­ari­anism - What brings about the greatest good for the greatest number of people? Act Utilit­ari­anism: The act which brings the greatest increase in overall happiness. Varies with circum­stance. "It is the greatest happiness of the greatest number that is the measure of right and wrong"
Thelog­ian­/Ph­ilo­sopher - Happiness is the basis for philos­ophy. Happiness is growing in the knowledge of God. Man's original nature: depraved & bound by original sin. Life is suffering. 4 noble truths. Live helpful life. Eightfold path. Happiness comes from being loving, compas­sio­nate, patient, forgiving and respon­sible. And what, monks, is Right View? It is, monks, the knowledge of suffering, the knowledge of the origin of suffering, the knowledge of the cessation of suffering, and the knowledge of the way of practice leading to the cessation of suffering. This is called Right View. The reality of human interd­epe­ndence with all other beings. cultivate universal awareness, including harmony with nature. Our most important duty is not to harm living beings (ahimsa). All living beings, not just humans, have a correl­ative right not to be harmed. "I know that I know nothin­g"
Link to my flashcards about ethics. Link to my flashcards about philos­ophers and their work (quotes or writings). "­Might Makes Right" History of the Pelopo­nnesian Wars. Foreign policy=no contract (strongest state rules). Growing democratic system in Ancient Greece most likely led to it. They traveled around talking politics with Athenian citizens who were required to partic­ipate in politics. "Ac­tions are right in proportion as they tend to promote happiness, wrong as they tend to produce the reverse of happin­ess­"
Father = Member of Radicals, friend of Bentham. Only time government has moral authority to limit person's liberty is when harm may occur otherwise. A 13th century Catholic priest who drew a connection between theology & science. He believed learning about nature was a way to learn about God. People have a natural inclin­ation to want to protect life & be good. Liked Aristotle and added faith, hope & love. Similar to physical, scientific laws in that it is universal. Can be discovered through human nature and reason. Action is good/bad based on conseq­uences of the action. Focuses on outcomes, not actions. 1973 Supreme Court ruling. Woman has non-ab­solute right to choose abortion during the 1st trimester of pregnancy. "What is the ethical action?" Ancient Greek theory that deals with the origin of the universe, especially the solar system. Cosmogony can be distin­guished from cosmology, which studies the universe at large and throughout its existence, and which techni­cally does not inquire directly into the source of its origins. Physical cosmology is the science that attempts to explain all observ­ations relevant to the develo­pment and charac­ter­istics of the universe as a whole.
" The sum of the areas of the two squares on the legs (a and b) equals the area of the square on the hypotenuse (c)." The philosophy associated with him was related to mathem­atics and numbers were import­ant­/magic. Reinca­rna­tion. Cosmol­ogist. He may have been the first man to call himself a philos­opher, or lover of wisdom. Series of 7 lectures from her class. Introducing Ethics: A Graphic Guide. Get it on Amazon or from the local library. Veil of Ignorance. Original position. Difference principle. Inequality is only acceptable if it works to the advantage of the worst off in a society. "­Justice as Fairne­ss". Theory of Justice. This link includes a playlist of many videos I found helpful. What is Jus ad Bellum? What is Jus in Bello? Ethical behavior during a war. What are the 3 criteria that need to be met in order to go to war? What 3 criteria neet to be met in during the conduct of a war? 1. War against military only and not civilians. 2. Use of propor­tional force. 3. Use of minimal force. "C­omm­itting an injustice is worse than suffering one." Wise Owl Guide to DSST Ethics in America is a great study help when preparing for this test. It even comes with a sample quiz in the back. Morality should be valued in itself and relate to our unders­tanding of the world and our place in it. Moral choices are related to our unders­tanding of life. "The Social Contra­ct". Man's original nature = good. General Will - vote is the best thing for most people in a society. Direct Democracy. People can revolt at any time. Inspir­ation for the French Revolu­tion. DON'T give up freedoms to a govern­ment. No political parties - everyone should represent themselves and partic­ipate in making & obeying laws. Disobey laws = forced to be free. Snazzl­efrag's Notes to help you study for the DSST exam. Dharma - righteous duties of person to people and gods. "The Republ­ic" The Soul can be compared to an Ideal City. The pursuit of excellence is most often linked with Ancient Greece. Arete Greek word - in its basic sense, means "­exc­ellence of any kind". Absolute law rules the universe and humans can't change fate. Ethical caring - care because it's the "­right thing to do"
If some men are entitled by right to the products of the work of others, it means that those others are deprived of rights and condemned to slave labor. Any alleged "­rig­ht" of one man, which necess­itates the violation of the rights of another, is not and cannot be a right. Egoism, Conseq­uen­tial. No man has the right to force another to do something. Reason = values and action. Object­ivism - Rational happiness is the highest moral purpose. Opposed Kant. Our a priori judgments apply to the phenomenal realm, not the noumenal. 1. Object of act must be good. Do good, avoid evil. 3. Good can't come from result of evil effect. 4. Foreseen good greater than or equal to evil tolerated. Heinz Dilemma - a man's wife is dying and the pharmacist who found the cure wants to sell it at a high price. The man cannot afford the medicine and the pharmacist is not willing to negotiate. Should he steal, kill? Good inform­ation for reviewing the test. Practice test at the end. "­Con­cerning the gods, I have no means of knowing whether they exist or not, nor of what sort they may be, because of the obscurity of the subject, and the brevity of human life." Invented role of profes­sional sophist. (says Plato) Created major contro­versy stating, "Man is the measure of all things­", interp­reted by Plato to mean there is no absolute truth, but what indivi­duals deem to be the truth. "Man is the measure of all things­"
Emphasizes right being over right action. A person of virtuous character can be depended on to do the right thing. Not an altern­ative to right conduct theories (utili­tar­ianism & deonto­log­ical) but comple­ments them. We are not concerned to know what goodness is, but how we are to become good men, for this alone gives the study (of ethics) its practical value. People can't change fate because absolute law rules the universe. Roman slave gained freedom. Used Socrates teaching style. Virtuous happy life in the middle of uncert­ainty "do what's in accordance with nature­"
I don't know what happened to all of our video links. I have tried to include the youtube: address in the description below so you can paste them into your browser if you can no longer see the videos in each box. Hi sparkledaisy. Sorry about this. I switched the site to serve over HTTPS recently, which is better for user security, but there are some bugs as a result. I've fixed the video embedding now though.